Hint: He's cute as a button! 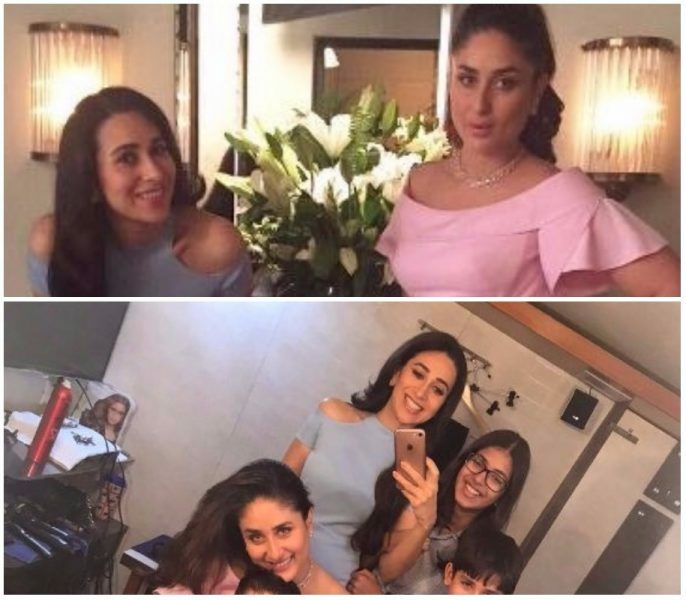 Karisma Kapoor recently shared pictures of her and sister Kareena’s images from the set of one of their upcoming brand photoshoot, which is giving us major sibling goals! The sisters looked absolutely pretty in pastel dresses that they paired with towering pairs of high heels. Speaking of the surprise guest, can you guess who made a backstage appearance at the set? 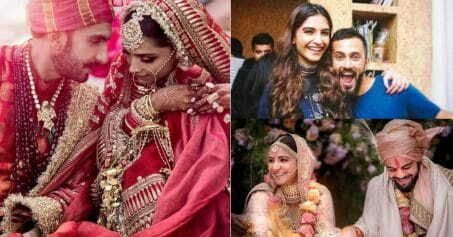 If you guessed Taimur, you’re right! The tiny tot was being cuddled in proud mom Kareena’s arms and he looks absolutely adorable in a tiny shirt with jeans. Such a dapper little boy already stealing the hearts of thousands of women! We cannot get over his cuteness! 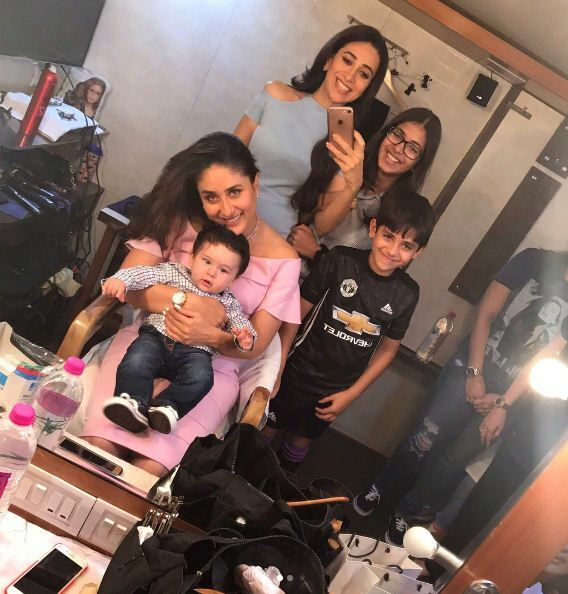 Meanwhile, Taimur’s hard-working mom Kareena will soon be seen in Veere Di Wedding along with Sonam Kapoor and Swara Bhaskar. We eagerly look forward to it!